Spring feels a long time coming this year. Even the daffodils seem a bit shy, hardly surprising considering how cold, wet and snowy it's been. Best to get indoors and explore one of our great glasshouses. Designed and built some 150 years after the great Palm House at Kew there are similarities in the design and feel at the Wisley Glasshouse. It covers three climatic zones - tropical, moist temperate and dry temperate. The topical zone features many of the same plants as at Kew, although in a format that's probably more fun to explore for children (of which there were many...). There are palms aplenty, including this statuesque Bismarkia Palm from Madagasgar and large banana palm, Musa thomsonii. I love how they look against the light. and, hilariously, this Oxalis which many gardeners will recognise as a rather persistent weed. However, it does look attractive here. Many of the plants in this zone will grow in very sheltered parts of the UK, Cornwall for example or in a cool conservatory. The main requirement is that the environment remains frost-free. 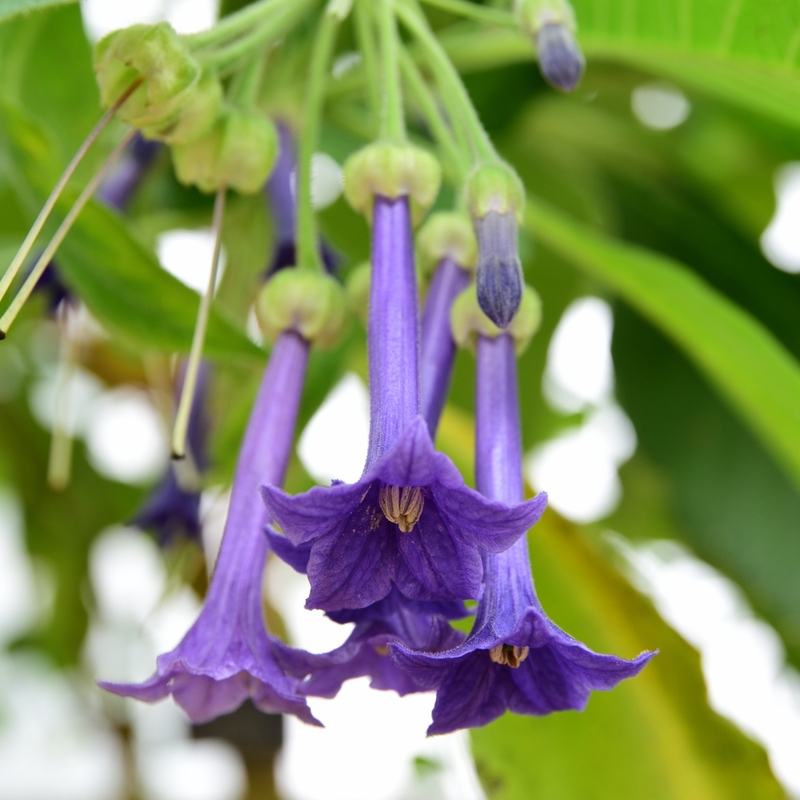 If you've got the right environment and you're up for a challenge then this beautiful Lochroma grandiflora "Blue angel's trumpet" would be a spectacular attraction. The dry temperate zone is home to many succulents and cacti, a must-see if you've caught on to the current the house-plant trend. 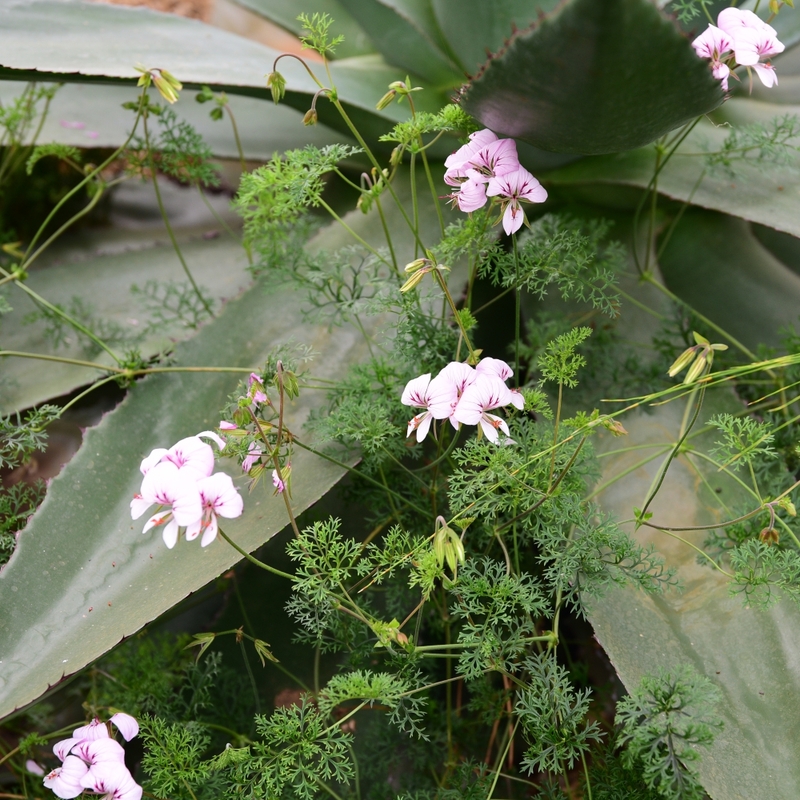 Plants here come from places as far apart as Chile, Australia and the Canaries. 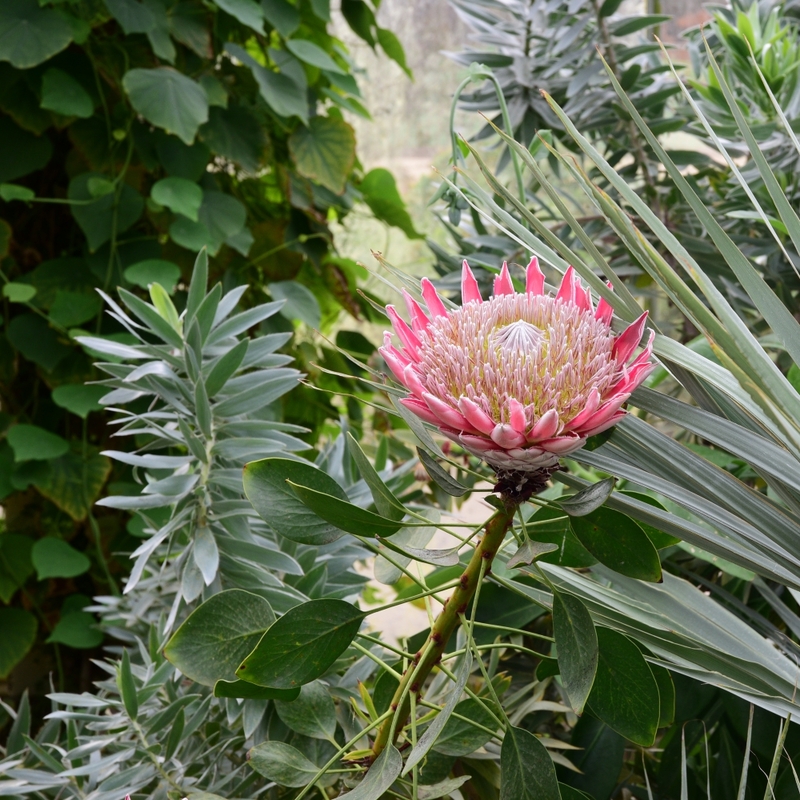 One of my favourite plants here is the amazing King Protea from South Africa. Virtually impossible to grow outside in this country but varieties are usually available from florists. The glaucus foliage of this Leucadendron Red Dwarf looks good with it. Entry to RHS Wisley is a rather hefty £15.50 so try and make sure there's enough going on to make it worth your while. The tea was good, albeit in a bucket-sized paper cup, and the chocolate fudge cake was worth the calories.